For Costco members In-Store only Inventory may vary by location. 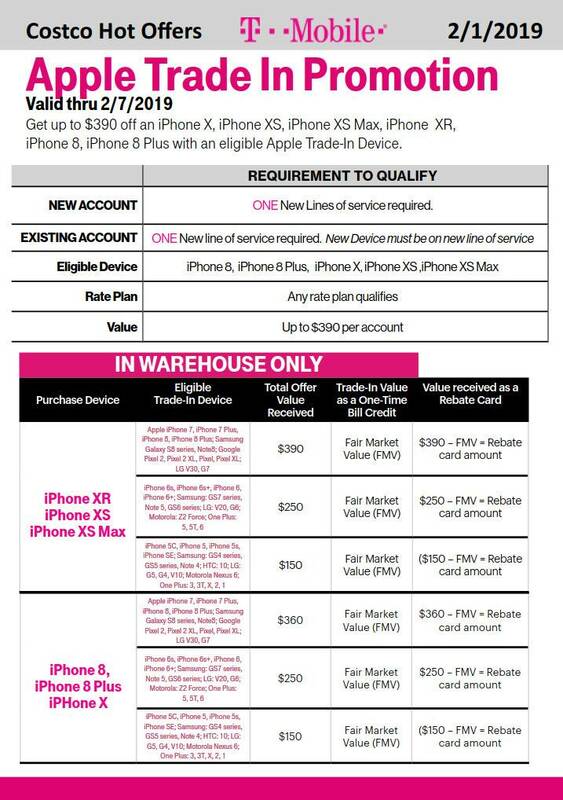 Purchase and activate one of the following T-Mobile phones at full Costco in-store price. Not valid for monthly device payment plans (device must be purchased at full price in-store). Your purchase (excluding S8+) is eligible for Up to $360 Trade-In Credit (part issued as a One-Time Bill Credit, with remaining amount issued as a virtual Prepaid MasterCard).